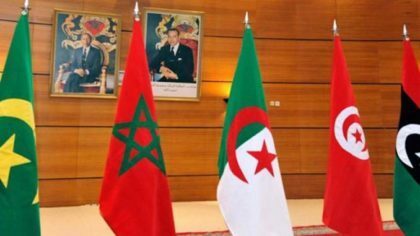 The lack of integration characterizing the Maghreb Union is a fallout of Algeria’s perpetuation of tensions with Morocco, although the kingdom has on multiple occasions called on Algeria to open a new page in bilateral relations with a view to bolstering integration in the Maghreb region, underlined Moroccan Foreign Minister Nasser Bourita. In an interview with Aljazeera TV channel, the Moroccan Foreign Minister who deplored the lethargy marking the Maghreb Union recalled that the latest call was made by King Mohammed VI last November when he invited Algeria to a frank dialogue. The Monarch suggested the setting up of a joint political consultation mechanism, Bourita recalled. Algeria has kept its borders closed with Morocco since 1994. The hidden agenda behind closing the borders with Morocco was an illusion nurtured by the Algerian regime that the Kingdom will succumb to their oil-funded hegemonic schemes in the region. Algeria, which hosts, arms and funds the separatist Polisario militia, has made of isolating Morocco the supreme goal of its diplomacy. Deeming the Maghreb integration as a zero sum game, Algerian officials, who continue to be hostage to a cold war mentality, think that opening the borders will be more beneficial for Morocco, which has an attractive tourist market likely to lure Algerian tourists. They also think that the free movement of goods will mostly benefit Morocco, which has a free market and a more competitive industry in contrast to Algeria’s full dependency on hydrocarbons as a source of revenue. Yet, they ignore that maintaining the status quo by keeping the Algerian economy isolated will further undermine competitiveness and leave Algeria in the rear bottom of doing business ranking. Using the security alibi to prevent the freedom of movement of people and goods in the region is flawed. Fighting terrorism and drug trafficking in the region should be a collective endeavor as national approaches have long proved their inefficiency. Algeria’s hegemonic schemes, its closed-border policy and support for separatism in the Sahara have been factors that hampered the achievement of the Maghreb Union. The economic cost is tremendous. The low performance of this regional block is evidenced in an intra-Maghreban trade not exceeding 4.8% of the Maghreb’s trade volume, representing less than 2% of the sub-region’s combined GDP. If the five Maghreb countries were integrated, each would gain a minimum 5% rise in GDP, the World Economic Forum said in a report published in late 2017. Deeper integration, including the liberalizing of services and reform of investment rules would have increased the per capita real GDP between 2005 and 2015 by 34% for Algeria, 27% for Morocco and 24% for Tunisia. In light of the lack of willingness from Algerian officials to engage in sincere efforts to reinvigorate the Union along the lines of its founding Marrakesh Treaty, the Maghreb Union will remain one of the worst performing trading blocks in the world, pushing its member states to seek alternatives elsewhere.